Simon Pegg spoke in London tonight at the Film 4 FrightFest Horror movie festival about whether or not he would ever consider making a sequel to his cult classic zombie themed romantic comedy Shaun Of The Dead. 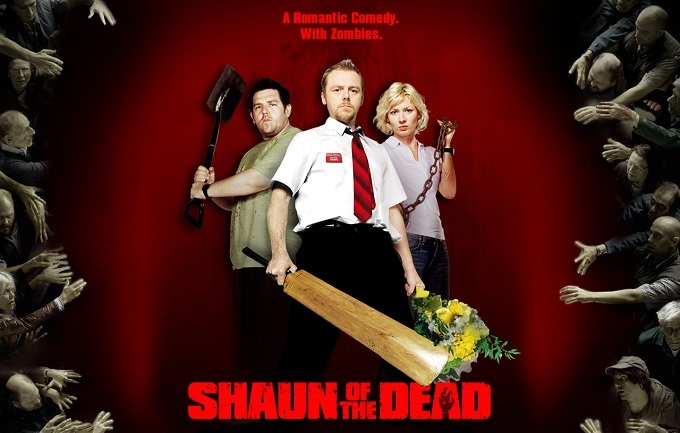 The Star Trek and Spaced star admitted that while he was open to making a return to the genre he definitely wouldn’t want to do a sequel to Shaun Of The Dead. While he shared that he was excited to be getting ready to work with Nick Frost and Director Edgar Wright for a third time on The World’s End; he emphatically ruled out the possibility of reteaming for any kind of Shaun follow up. Explaining his reluctance to pursue the project despite the obvious interest of fans and studios, Simon revealed that the Zombified fate of Nick Frost’s character Ed at the end of the first movie made it difficult to imagine a sequel that would do justice to Nick Frost’s acting skills and avoid breaking any of the unwritten ‘laws’ of the zombie genre. Simon Pegg will start filming The World’s End in October, finishing off the long awaited and infamous “Three Flavours Cornetto” trilogy of films in collaboration with Frost and Edgar Wright. The new film about an Apocalypse themed pub crawl will serve as a companion piece to the trio’s previous efforts Shaun Of the Dead and Hot Fuzz.